New government restrictions to the compulsory housing order, in place until February 28, means those in ’higher risk areas’ will lose their free-range status from March 1. Defra today (February 8) announced plans to update the temporary measures to adopt a more targeted approach to reduce the risk of Avian flu, with mandatory biosecurity measures and continued compulsory housing or total netting in specified areas. The introduction of Higher Risk Areas, those close to substantial inland or coastal bodies of water, means producers who continue to house their birds will no longer be able to classify their products as free-range because of the 12-week cut off by EU law. Chief Veterinary Officer Nigel Gibbens said: "Based on the current situation, we believe mandatory biosecurity across England, combined with targeted housing or range netting in higher risk areas, is the best option to control disease, protect birds’ welfare and ensure consumers can buy free range products. "The 12-week housing requirement has allowed keepers time to introduce stricter biosecurity measures and our intention now is to lift this from February 28. "Current rules on housing still remain in place until then, but we are setting out plans now to give people time to prepare. We will keep this decision under review." From February 28 all keepers of poultry and other captive birds must continue to follow Defra’s guidance on maintaining good biosecurity and keep a ’close watch’ on the health of their birds. Keepers outside the Higher Risk Areas however will be able to allow birds outside providing they continue to meet certain strict biosecurity conditions including supervising outdoor access. Eggs and poultry from these birds will be free range provided they meet all other criteria. Keepers have been urged to make a decision on whether they continue to house their birds or allow them out onto the range, while also taking precautions to prevent contact with wild birds. NFU President Meurig Raymond added: “Free-range poultry producers now face significant threats to their businesses after Defra’s introduction of higher risk areas. “The affected producers will now lose free-range status from March 1 and this will have a considerable effect on the supply chain. “Half of the UK’s national flock is free-range, by far the highest percentage of any EU member state, and this will have a serious effect on the British public where demand for free-range has increased significantly over the past 25 years." 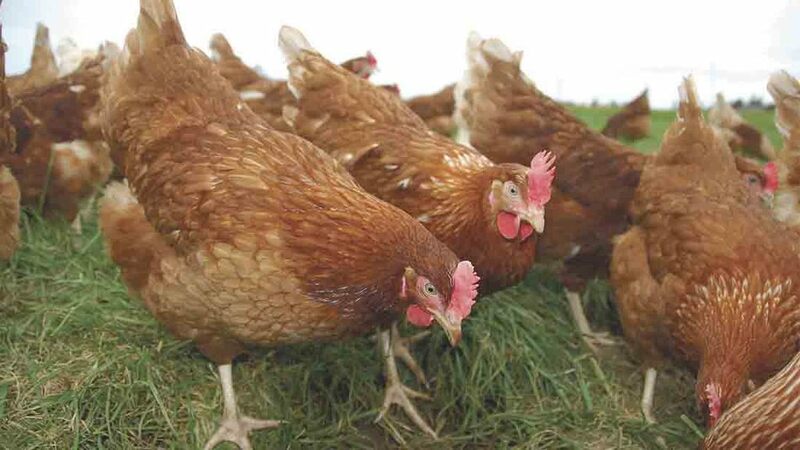 Defra said it expects around 75 per cent of poultry keepers to be unaffected by the additional measures, which will be reviewed at the end of April. Check the affected Higher Risk Areas here.